2010 Academy member Ryan J. submitted this photo and caption. With our recent audition camp, I started digging through all of my corpsmates' photos looking at pictures. 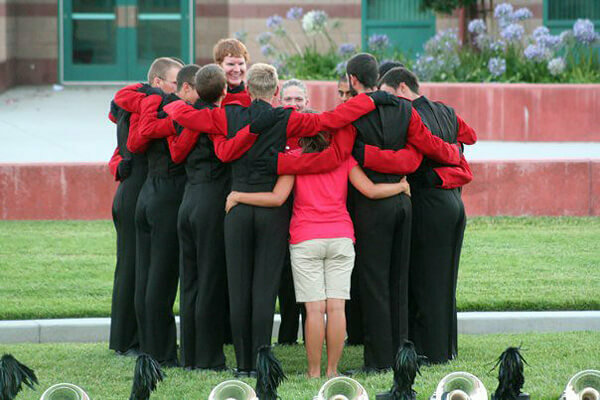 I came across this photo and I paused, knowing that this one sums up the summer for me: 12 mellophones on a mission, thick and thin, being pushed, pulled, and taught by the fearless Ms. Emily F. The effort is always the prize; black and red.